Independent Opera has been busy this last month. 26 year old Slovakian bass Peter Kellner was announced as the winner of the 2018 Wigmore Hall/IO Voice Fellowship, receiving a two-year award of £10,000 as well as professional mentoring from Independent Opera and the Wigmore Hall. Peter is currently a member of Oper Graz in Austria. Independent Opera's 2016-17 Voice Scholars, sopranos Samantha Clarke, Charlie Drummond and Nika Gorič; and mezzo-sopranos Katie Coventry and Jade Moffat, gave a showcase concert at the Wigmore Hall accompanied by James Baillieu. Voice Scholars receive scholarships which provide them with £5000 towards their final year of study, and they additionally receive professional mentoring from Independent Opera’s Creative Director Natalie Murray Beale. 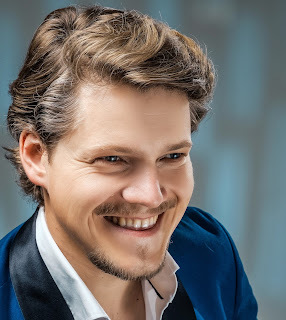 Looking ahead, Independent Opera will sponsor the 2019 Wigmore Hall International Song Competition, and Joby Talbot has been commissioned to write a major new oratorio to be premiered in 2019. The new piece will be inspired by Queen Victoria’s diamond and sapphire coronet designed for her by Prince Albert. The coronet was acquired by the Victoria and Albert Museum thanks to a gift from William and Judith Bollinger, and in 2019, the coronet will be the centre-piece of the newly-refreshed William and Judith Bollinger Jewellery Gallery, at the museum.